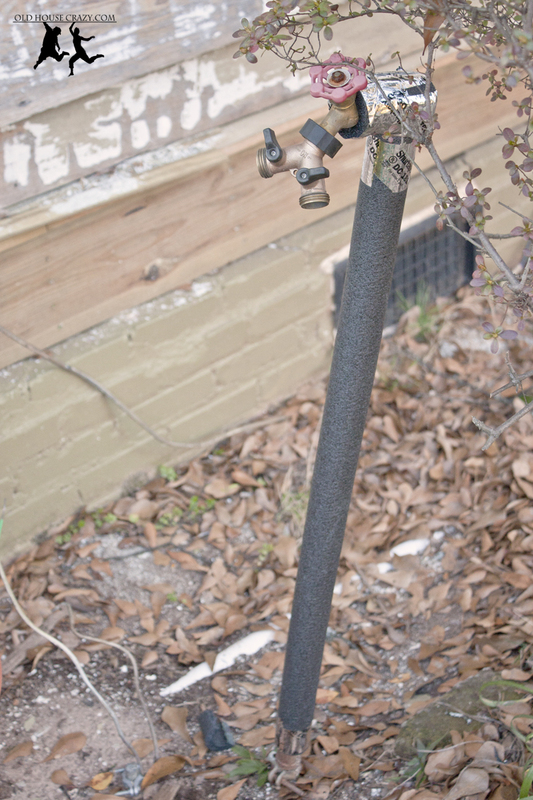 Last year, I replaced our old, broken, 1-inch-from-the-ground outside water spigot with a much taller pipe for easy filling of buckets and general access. I’m considering replacing it with a shorter one next summer; but, for now, I’m worried about it freezing when our crazy Georgia weather decides it’s finally time to get way below freezing. Last week it was in the seventies. As I’m writing, it’s 30 degrees outside. You can see in the photo that we are still in the process of scraping and painting the exterior of our old house. There will be plenty of posts about that later as we finish up this two-year old process. 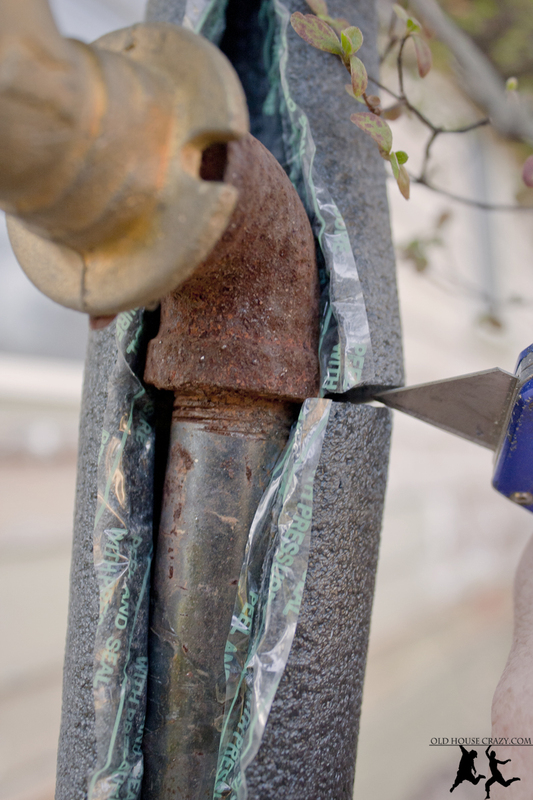 Why should you insulate your exterior pipes? Well, water is one of the few molecules on earth that expands when it goes from liquid to solid. Most materials shrink when they freeze, as their atoms become less active and compress. Water actually expands about nine percent in volume when it freezes. This is why potholes during your commute get bigger during the winter and why cracks in boulders get bigger with every freeze/thaw cycle, causing rocks to fall and tumble (hence the “watch for fallen rocks” signs in the mountains). 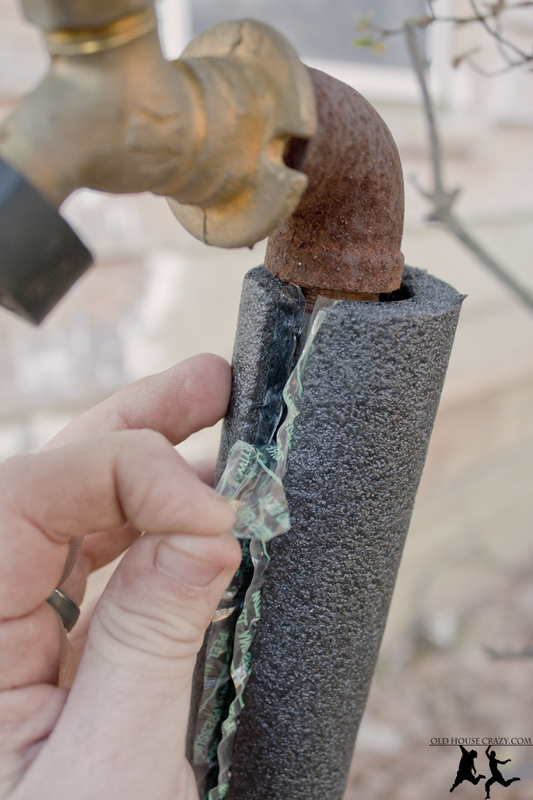 If the water in your pipes freezes, it’ll expand and can potentially break your pipes, leaking thousands of gallons of water (money) and making you spend lots on an emergency plumber. 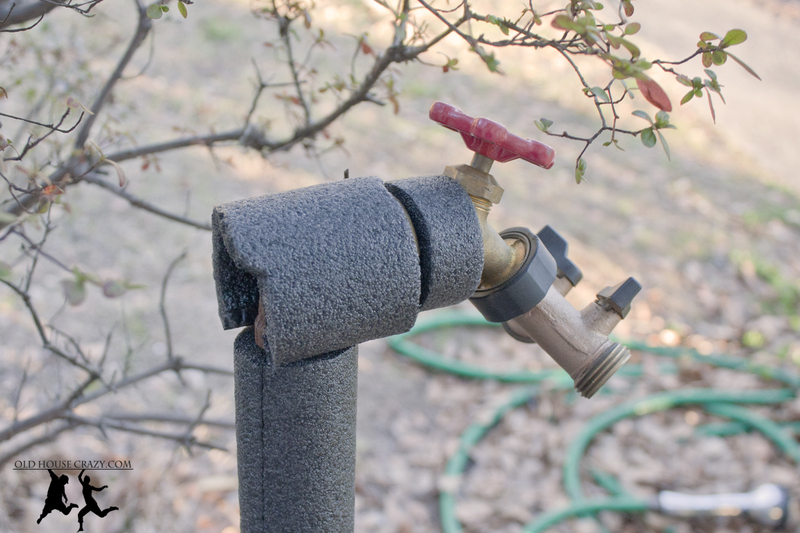 To complete this simple DIY project, I bought some pipe insulation from Lowes in two sizes. You just need to figure out the diameter of your pipes and read the boxes at the hardware store to figure out which ones to buy. The stuff I bought had glue on each of the surfaces for easy application. After cutting it to size, all I needed to do was peel off the backing and stick the sides together. It’s important to cover all of the surfaces of your piping, including corners. 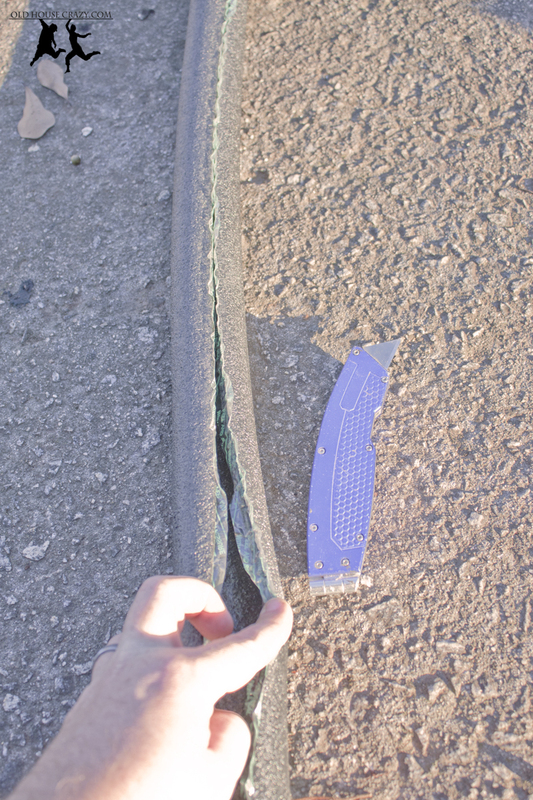 You can either miter the edges or do what I did below. I just cut an extra piece and fit it over the pipe, holding it in place with duct tape (I covered the exposed piece in the back with a little sliver of foam before taping). Here’s the final product, all wrapped up in foam and tape. I’m not completely convinced that this foam blanket will protect this pipe forever. I’m nervous to have such a long pipe exposed above ground during the few hard freezes that we get. That’s why I’m thinking of replacing it with a shorter pipe in the future. If you have an attic or crawl space that gets really cold during the winter, you might think of using this same method to insulate any pipes that run through those spaces. I can’t imagine a broken pipe leaking cold water through my ceiling onto my face while I’m sleeping. Thanks for reading. 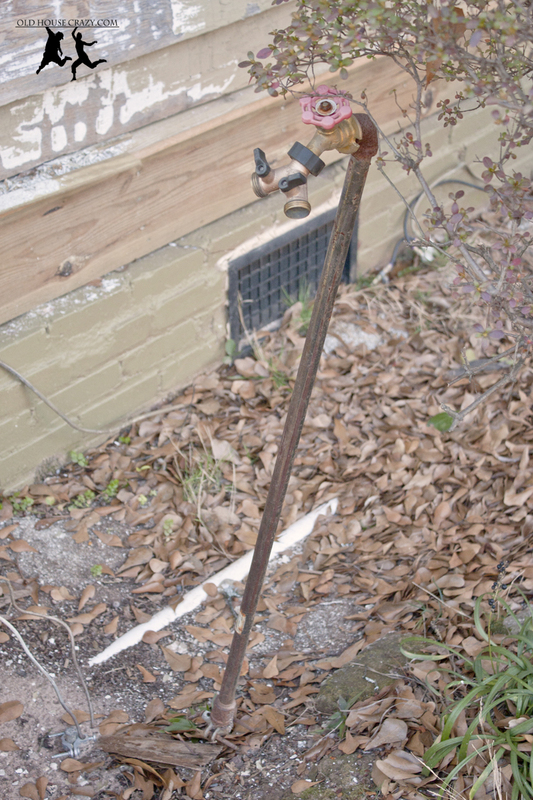 This entry was posted in DIY, Don't Hire a Professional, Plumbing, Tools and Techniques and tagged diy project, freeze thaw cycle, georgia weather, pipe insulation, water spigot. Bookmark the permalink. 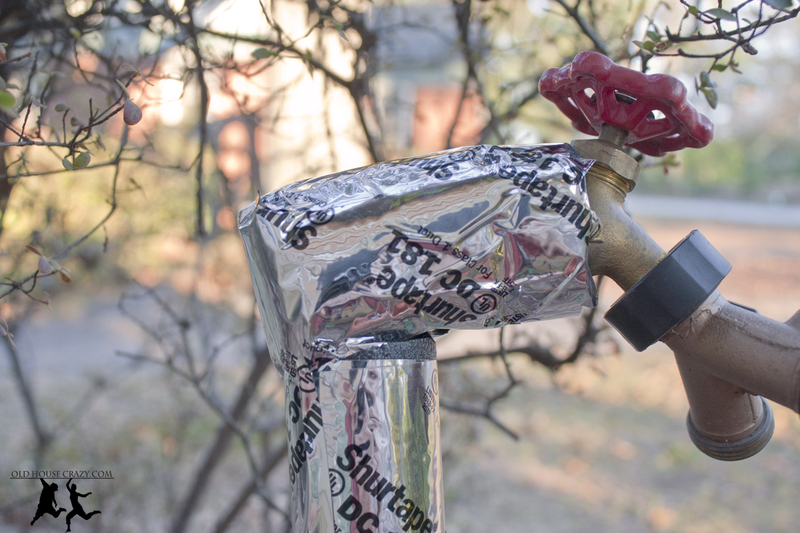 Leaving the water dripping can prevent freezing, too. Of course, that may not be an option when you have to pay for the water. The few times each year we have hard freezes, that’s what we do.